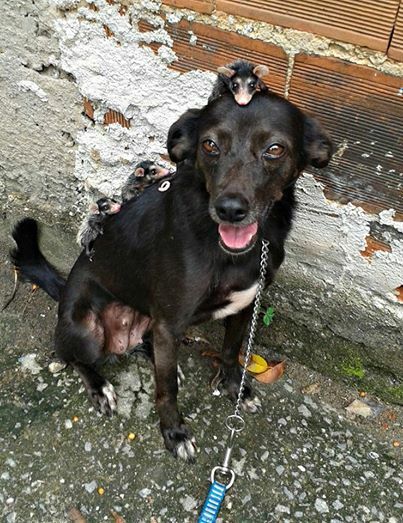 Last month, tragedy struck a group of helpless baby opossums when, sadly, their mother was attacked and killed on a property in Brazil. Fortunately, someone discovered the orphaned offspring, their eyes still not yet open, and gave them to pet behaviorist Stephanie Maldonado for safekeeping. Initially, Maldonado had hoped to take the baby opossums to a nearby wildlife rescue group, but was told that they were too full to accept any newcomers. So, she took it upon herself to keep them cozy and fed. The animals required feeding every two hours, but it was still uncertain if the opossums would survive without more motherly attention than Maldonado could provide. 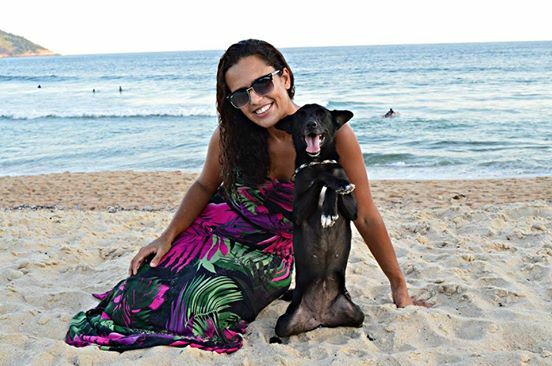 That's when her dog, Pretinha, stepped in. 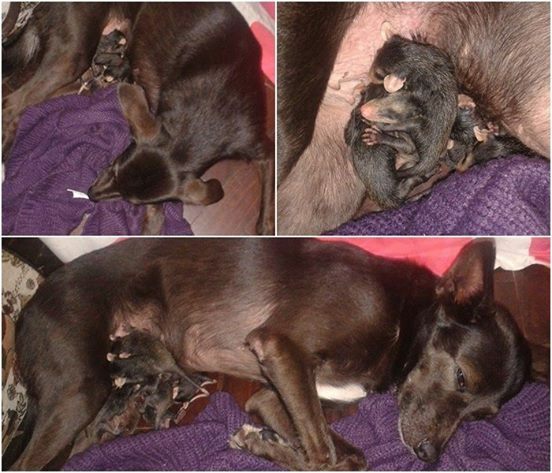 The sweet-natured pup apparently sensed the little opossums were in need, and began doting upon them as if they were her own. 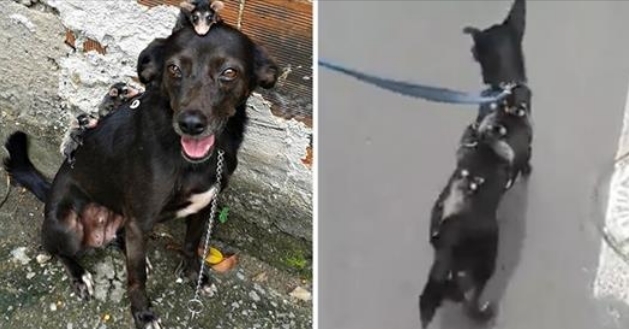 Perhaps most incredibly though, the dog is more than happy to embrace her adopted litter's un-puppylike instinct to climb atop their mom. 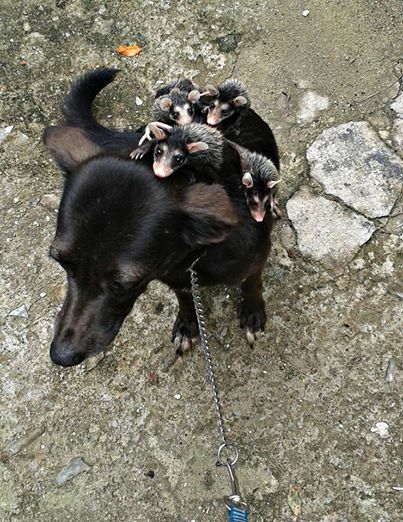 Responses to "Dog Adopts Orphaned Opossums, Takes Them For Rides On Her Back"
A great mama...take the babies with you.